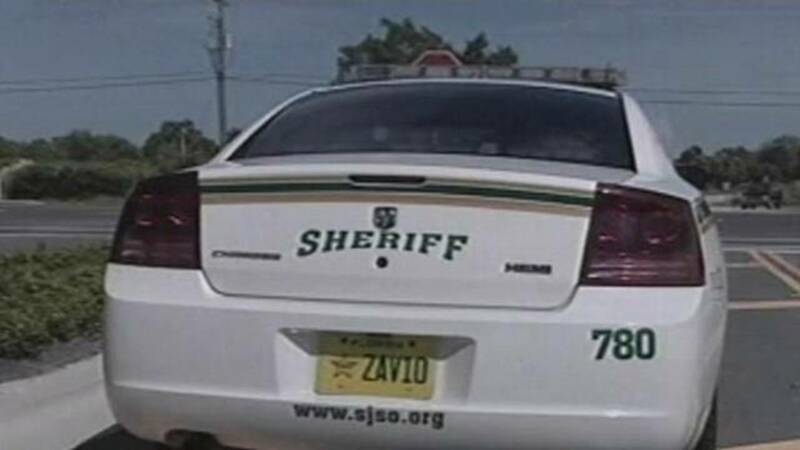 ST. JOHNS COUNTY, Fla. - After two Jacksonville nurses questioned the authenticity of officers who pulled them over in separate incidents, St. Johns County deputies verified that one of the officers in question was actually a Jacksonville detective. The nurses reported being pulled over along Interstate 95. One said that she was driving south on her way home from work and a dark colored Chevy 4-door sedan pulled up beside her before falling back and activating red and blue lights mounted at the top of the windshield. She said the man was wearing a blue striped polo shirt and a plastic tag around his neck that read “JSO Detective” but did not show any other identification or badge and did not appear to be armed. He returned her license without issuing a ticket, and she reported the incident to the St. Johns County Sheriff's Office, concerned that the detective was not an actual officer. Deputies have since confirmed that he was indeed a Jacksonville Sheriff's Office detective. The other incident, however, is still under investigation. Deputies said another Jacksonville nurse was heading north on I-95 on her way to work from St. Johns County when red and blue lights came on behind her near the county line. She described the “officer” who stopped her as a white man in his 50s with very short or shaved hair. He told her she was speeding and asked for her driver's license. She noted he was wearing a tan uniform with a name tag of Moyer or Moer, but he didn't have a gun or a police belt, deputies said. He told the woman to “consider this a warning” and handed her license back to her after studying it, deputies said. St. Johns County Sheriff's Office spokesman Chuck Mulligan said that it is unclear what the man's intentions were. "We don’t know if they just wanted to be the guy, if you will, to tell someone to slow down, or, in these cases, get their driver's licenses [and] garner information from that to maybe [use] another time," he said. "We just don’t know." St. Johns County deputies said that drivers can turn on their hazard lights and safely drive to a well-lit, populated area if they are concerned about a stop. Drivers can also call local law enforcement to determine if an actual officer is attempting to stop them. Deputies recommend having law enforcement numbers saved to cellphones. Law enforcement officers have official badges and wallet credentials that should be displayed or readily available when performing official duties. According to St. Johns deputies, SJSO does not wear tan uniforms. Anyone with information regarding the unidentified officer or someone conducting traffic stops with unlawfully installed police equipment is encouraged to call 904-824-8304.